Deodorant protection that brings you a whiff of ocean breeze. Every single time I find a new favorite deodorant, it gets discontinued right away. It happened when I fell in love with a spray deodorant by the brand Escada. I can’t remember what it was called but I do remember that it came in a can with pretty pink and purple ombre packaging. I used to purchase those in bulk (like 5 at a time) from VaVaVoom (Marina Mall). It smelled so lovely! Then they discontinued it and my heart broke into a million pieces. After that, nothing lived up to my high expectations. I’d purchase a random anti-perspirant, use it all up, and purchase a completely different one afterwards. Many years later, I fell in love again with Go Fresh by the brand Dove. The scent was sublime! It was a fresh, uplifting, and energizing blend of grapefruit and lemongrass. Of course, it got discontinued and I was heartbroken all over again. 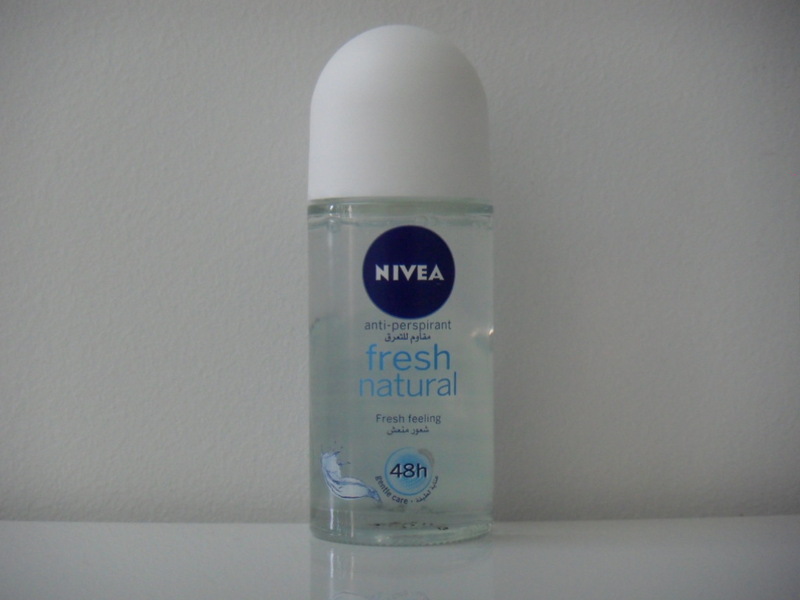 Finally, I found a new favorite Nivea Happy Time. The scent truly made me happy as it was somewhat similar to Dove’s Go Fresh Energizing Anti-Perspirant. Of course since I fell in love with it, they had to discontinue it (at least I’m assuming so because I can’t seem to find it anywhere in stores anymore) so I’ve been on the lookout for a new anti-perspirant in hopes of finding a new favorite. 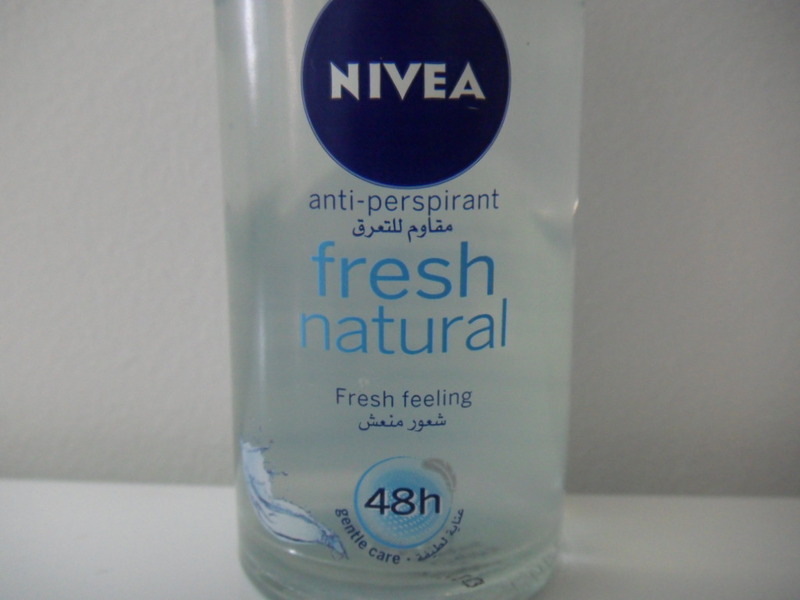 Nivea Fresh Natural Anti-Perspirant is not my new favorite but I’ve grown quite fond of it since discovering it. First off, as I’ve said before, there’s something appealing about the unassuming packaging. Color scheme included, I find the whole thing looks quite cute! As for the scent iself, it’s a fresh, unisex (leaning more towards masculine) scent with aquatic (read: ocean) elements. After shaving my underarms with Nivea’s Cook Kick Shaving Foam I would apply Nivea’s Fresh Natural Anti-Perspirant as I feel the scent of both products compliment each other beautifully. After getting fully dressed, I’d spritz a mist of Dolce & Gabbana Light Blue overheard and step into the mist so it could lightly scent me all over for the final touch. Although each one of these products smells different in their own way, somehow, together they just work, which is why I’ve been enjoying this specific combo for quite some time. Strangely enough, I’ve noticed that Aquatic (read: Ozonic) scents put me in a highly productive mood.